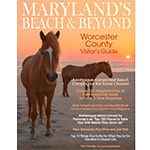 Maryland's Beach and Beyond Discover Ocean City and Assateague Island National Seashore and State Park. 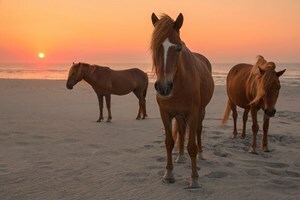 Witness wild horses as they roam free on the island's beaches, dunes and back bays. Discover our coastal communities of Berlin, Pocomoke and Snow Hill offering a great mix of shopping, dining and outdoor adventure. Make sure to check out all the hiking, biking and equestrian trails in the Pocomoke River State Park and Forest. See why Berlin was named "Coolest Small Town in America" by Budget Travel Magazine! We've got walking tours, ghost tours, carriage rides, kid-friendly museums and loads of free family fun.